“I found the book beautifully written, witty, moving and a v ..
Not all schizophrenics are violent. This is a myth that the press would like us to believe, a myth undone by my Richard’s example. This book is the culmination of a four-year project written; from the first-person ‘unreliable narrator’ perspective. It utilizes truth with facts that, however illusory, Richard could not voluntarily create himself. This book documents Richard’s adventurous learning curves to psychiatric treatment on nine occasions in eight different hospitals for over twenty-nine months since 1990: as terrible as being locked in an I.C.U for over nine weeks, as exciting as being the saviour of alien planets, and as beautiful as being released from that same I.C.U to walk under trees that were the tallest things he had ever seen under a blue sky that stretched on forever. 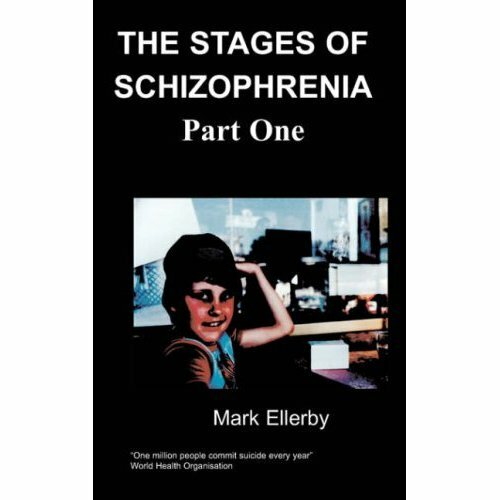 This is an inspirational and important book for schizophrenia sufferers. It is perhaps unique: a non-academic work that would appeal to academics, an exciting adventure for the sympathetic, and a case-study for mental health professionals to gain a long look into a private world. 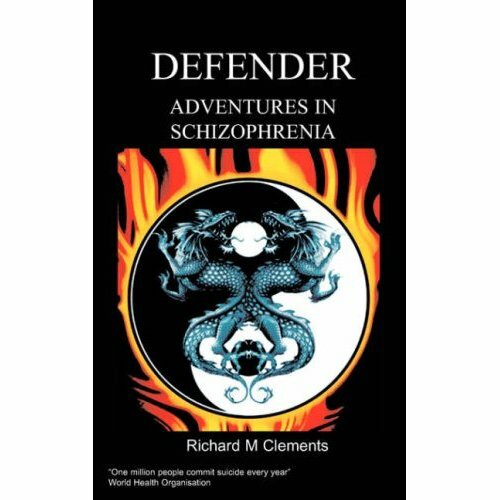 Richard M Clements is an inspirational author who has survived from acute schizophrenia and now wishes to use his experiences to help others with this disorder. He considers that discussing successful treatment in public is the responsibility for having recovered from illness to those that yet haven’t. Richard has written several fictional novels and describes creative writing as the mainstay of his self-esteem, which is vital. Having a book published has been a life changing experience for Richard, of which he is very proud. For many service users it could be said that empowerment begins with pride, that pride is good. Richard would like to use his experience to counsel other sufferers of schizophrenia, particularly those also prescribed Clozapine, a medication which has kept him out of hospital and happy for over six years. This is a memoir from the battlefield of the psyche. It is a hazardous environment. The choices made there can be as pivotal as facing down a firearm in the Material Plane. You might think the gun to be far more lethal than the gibbering ghosts and wisps of its custodian’s mind, yet blood is spilt in the killer’s imagination long before his finger slips through the trigger guard. Mental afflictions can carry people to places equally bleak, yet their weapon of choice is almost always aimed at themselves. Suicidal courageousness, that impression of a final act of ‘gallantry’ is a dire illusion. Schizophrenia (psychotic episodes of self-harming, paranoia, perception, hallucinations, “voices”, personality, and other disorders) affects 1% of us. That is over 10,000 sufferers living in London alone, and, like the landing craft pouring out young lads onto the bloody beach at Omaha, schizophrenia is up there at the Front and is still little understood. Assuming a sick person volunteers for treatment at all finding suitable medication to aid recovery is experimental. It takes patience – hence a sufferer in a hospital is usually termed a “patient”. When the right medication is prescribed it can save and alter lives yet even an accurate drug, if used for too long or at too high a dosage, can induce physical difficulties. Years ago three of my hospital friends were accidentally over-dosed with the ‘common neuroleptic’ drug Haloperidol. One young woman had to have her spleen removed. An elder woman is wracked still to this day by continuous muscular spasms. And Jason, who I met in 1990, was overpowered so badly he bit out his tongue. He was only sixteen at the time. The worst and weirdest symptom of schizophrenia is the phantom ‘telepathy’ of voices. They exhibit independent personalities; can use accents previously unknown, express in languages you’ve never heard before, come obsessed with death, opinionated, often hallucinated, and swear rotten. They can accompany psychotic beliefs rarely discussed and they can talk to you even when you are asleep. And there may be no escape without help. My theory is that ‘voices’ are examples of broken consciousness induced by mental or cerebral damage, through such as drugs, mental abuse or head-injuries. They are shrapnel of the mind that poach independent neural nets of the brain and start talking. So the sufferer’s mind becomes like a train running off down the track without anybody real in the driving seat while the psychiatrists try to safely de-rail it before it knocks anyone over. For myself, I’ve chosen to continue taking the new ‘A Typical’ anti-psychotic drug Clozapine because it has given me happiness beyond all expectations. I am thirty-four years old with brown eyes that are dark, and deep. I’ve been taking a small handful of these tablets for four years and it is working. I won’t refuse it in the foreseeable future but it seems that in comparison to the time span of my conflict I’ve been well for a short time only. Time and again sensitive and gentle, often creative, people are dragged down into places as close to Hell as any living person can languish in. Some psychiatric terms I’ve found degrading: ‘liquid cosh’, ‘mental illness’, ‘pin-down’, ‘tribunal’, ‘catchment’s area’, and ‘restraint room’ – all is jargon that never helped anyone. Extreme over-dose is rare and the medicated path, though sometimes subject to side-affects that confusingly need to be dealt with by other, further medications, does promise a real chance at freedom. The unmedicated path is like a spiral stairway leading down to a dreadful yet perhaps familiar existence of demons and angels, alien conspiracies, love and hate. If the sufferer is blessed, or lucky, they may come back. It is possible to migrate beyond merely existing and throw away the crutches of defensive inventiveness. Be discharged from the microcosm of ward life into the macrocosm of the world and return to the sensual moments of life. And the longer stayed out of hospital the less chance there is of going back. When this story launches into the telling of my experiences as though fact it will actually refer little to the effects of drug treatment because I secretly rejected most of it. I chucked out the pills, as many as I could, rebelling against involuntary treatment under Sections of the Mental Health Act (1983). With the exceptions of being occasionally forced to take it and being reduced into a wreck of a man, I have ‘palmed’ hundreds of them. A pill in the hand is worth less than two in the bushes. I used to say: “Drugs got me into this mess and they won’t get me out,” I said but I didn’t really believe that. The circumstances of my becoming a Defender of the Earth had been on the cards since we came down from the trees. It always was going to happen, an inevitability proved by a million thoughts, a thousand co-incidences. And when this ‘latency’ was realised, as a war the medium of telepathy became its own verifier. So I threw out the pills, not able to be understood, believed, or helped.